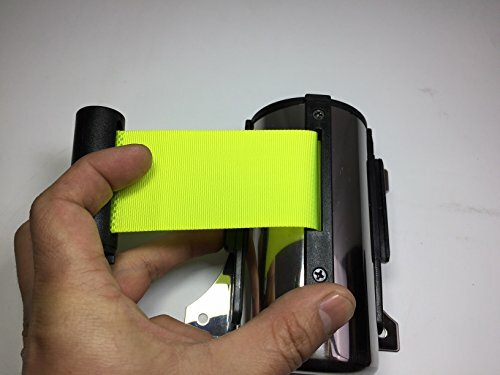 Wall Mount Crowd Control Retractable Ribbon 10' (about 116 inches) Belt Green. This great length is longest in the market and most economical for customers. Instantly create a secured area using this wall mount ribbon. Come with receiving clip, and screws and plastic inserts to mount on both sides of the wall. Actual color is neon green/yellow. Shipping to Canada and Mexico: import duty and fees apply.